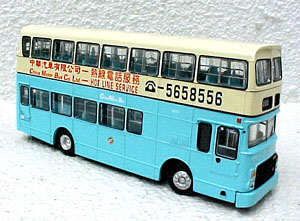 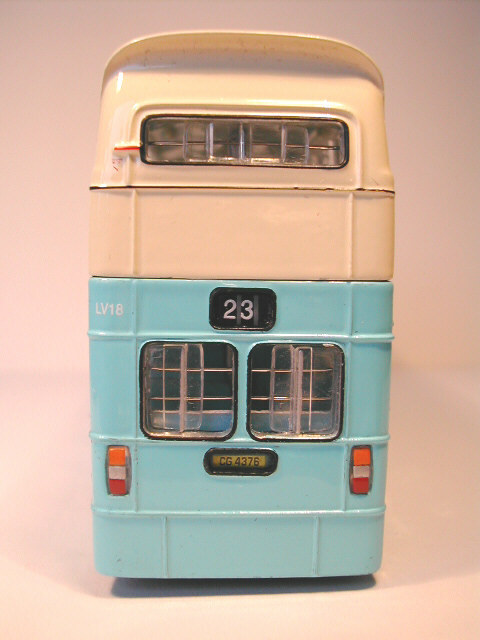 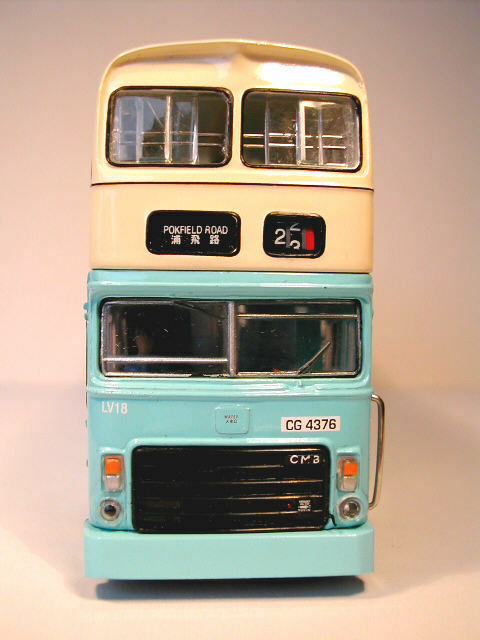 The model - announced in June 2000 is this Victory Mk 2 (LV18), which carries the earlier "Hot Line Service" decals. 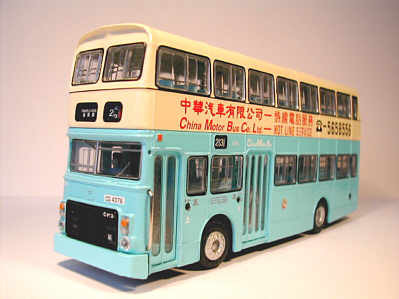 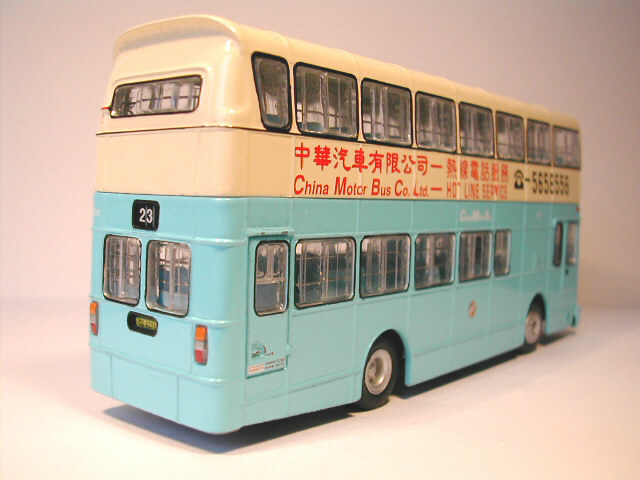 The bus - still not totally happy with its rear-engined buses, China Motor Bus took delivery of 167 front-engined Leyland Victory Mk2s between 1979 and 1982. 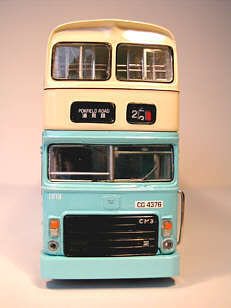 These featured Alexander 'CB' bodywork with seating in a 3+2 layout, with the exception of the final batch of 20, which were fitted with Metsec bodies.